We know the industry. With 26 years of experience, our longevity in the industry affords us the best contacts and connections with local and overseas producers. We have our finger on the pulse of the wine trade and will get you the scarce and remarkable allocations and new releases, from up and coming wineries to the classic producers. We can find it. We know where the great vintages are located. If you have a favorite wine that you can't locate, we'll find it for you anywhere on the planet. We know what wine you love to drink. Professional Wine Advisors cultivate a personal understanding of wine preferences for each client. They are always on the lookout for wines you resonate with and will keep you updated on new offerings. We do the groundwork and you drink the wine! We'll get it there quickly. Your orders will go out quickly and safely, within the promised timeframe. Glenn Siegel launched Wine Spectrum in 1990 with the goal of making remarkable wines available to wine enthusiasts everywhere. In his international travels, he discovered that truly great wine is often difficult to find, so he began developing relationships with respected winemakers along the way. His unique person-to-person direct sales philosophy has helped him develop rewarding, long-lasting relationships with wine lovers everywhere. His devotion to the wine business has also earned him respect among winemakers, giving him access to highly allocated wines. As a wine expert, he is often sought out for his opinion and has been quoted in "The Wine Spectator," several newspapers and business magazines, and even made a special appearance on the "Today Show." Even in this high-tech, fast paced world, Glenn believes that busy people still prefer a personal touch. By maintaining a well-trained and experienced staff of wine advisors, we give new and returning customers alike good old fashioned personalized care along with some great wine! 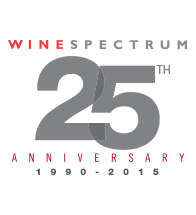 Wine Spectrum is managed by a team of professionals dedicated to steering the organization in to its next twenty five years of success. Our advisors represent decades of wine industry experience.